How Can Stem Cells Help Hair Growth? There is a revolutionary way of treating hair loss without surgery that some are calling a “miracle cure.” This treatment is stem cell therapy, and it involves the use of your own stem cells in helping to foster regrowth of your own hair. Further, stem cells have regenerative properties that can help your body heal in various ways. To see whether this treatment may be right for you, let’s look at what it entails. What Does Stem Cell Therapy for Hair Loss Do? Stem cell therapy is a new method of treating hair loss without surgery. In this procedure, your own fat tissue is taken from your body using liposuction. The fat tissue is then processed to extract the stem cells, and then the stem cells are injected into your scalp in the areas that need more hair to grow. 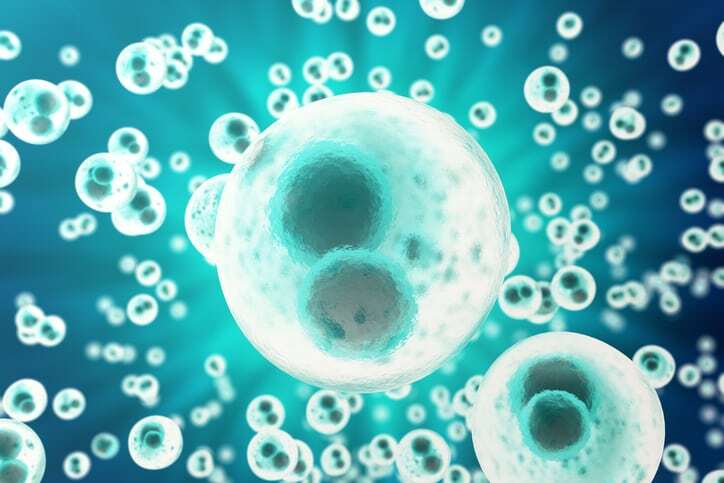 Additionally, since stem cells are able to become other types of cells, they can help repair other tissues in the body by dividing and replacing damaged tissues. In the case of hair loss, stem cell therapy can help to reverse the shrinking of hair follicles, so that they don’t shrink and fall out anymore. Using stem cells can promote new hair growth, which can help people who experience thinning or balding hair. In a traditional hair transplant, hairs from a donor area of your scalp (such as the back of your head) are removed and transplanted into the balding/thinning area of your scalp. What Is Stem Cell and PRP Therapy? PRP stands for platelet-rich plasma. Platelets are healing cells in your blood that form scabs on your skin when you get a cut. In PRP and stem cell therapy for hair loss, your doctor uses both of these methods together to help foster hair regrowth in balding areas. This procedure will begin with your doctor taking a sample of your blood. Next, the platelet-rich plasma is extracted from that blood sample. Then, your doctor will then perform a mini-liposuction to get a small amount of fatty tissue from either your stomach, flanks, or hip areas. Finally, using special lab equipment, live stem cells are extracted from the fat and combined with the PRP. Your doctor will then inject that combination of stem cells and PRP into the thinning/balding area of your scalp. The entire procedure lasts about three to four hours. For best results, your doctor may recommend two treatments within a three- to six-month period. Who Benefits from Stem Cell Therapy and PRP? Stem cell therapy in combination with PRP therapy is a good option for people who may not be a good candidate for hair transplant surgery, or who do not wish to have the surgery. The PRP + stem cell treatment is most effective for people who are in the early stages of hair loss. Stem cell treatment may also be a good option for people who do not have enough quality donor hair to do a transplant. The recovery from stem cell treatment is relatively easy. There is very little downtime involved. While it’s fine to go back to work the day after treatment, you should avoid rigorous exercise for at least a week. However, you may notice some minor discomfort in the scalp and in the area where you got liposuction. Within about six to eight months, you should see visible improvements in your hair’s thickness. Are you interested in learning more about this state-of-the-art stem cell therapy for hair loss? Call Northwest Hair Restoration today at (253) 572-2949 for a free consultation and to see if stem cell + PRP therapy is right for you. You can also fill out our easy-to-use online appointment request form right now to get started. We look forward to helping you feel and look your best!